Video restoration is a process that requires lots of patients. There is software that helps in digital video restoration but it is not easy. The goal of digital video restoration is to make the video better if not perfect. The final result for each project differs and varies. Digital video restoration is needed to improve the picture quality of classic movies, images that have historical importance and other valuable material. The videos shot long before degrade with time. This is because of different conditions such as fungus, grains, folds or scratches. Digital restoration of videos helps in providing longer life to the footage. The data on video may be very important and preserving it digitally ensures a longer lifespan for the footage. There are three steps in video restoration and these are purifying the signal of the video, capturing with the good quality device and finally using the software for filtering the video. The processes included in digital video restoration are the film scanning, pre-processing, digital restoration and checking the media. 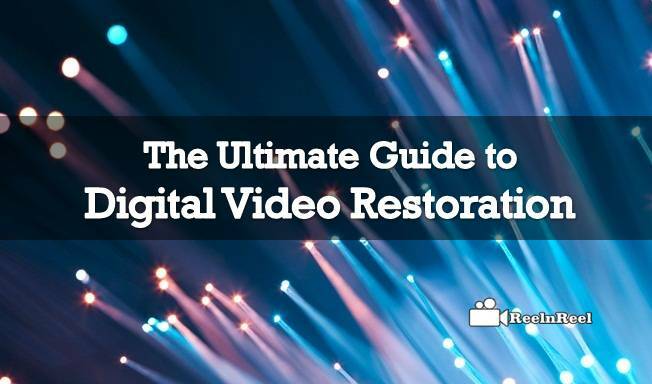 Advanced digital video restoration software these days come with tools that are created to get best results in restoration jobs. The software tools handle defects related to noise, line sync problems, cross color artefacts and others. The restoration software increases the overall quality of the digital video by reducing the appearance of lines, improves colour that appears on the original footage of the video. The restoration process for video begins with digitalising the source if it not already digitalized. The next step is to correct the colour and improve the picture quality with the available advanced tools. The noisy video image cleaned and the film grain is reduced with these tools. Apart from improving the colour, it is important to improve the video quality of the video also. The common audio problems are white noise, distorted levels, tape hiss and so on. Bad audio mixing such as background music dominating the dialogues in a scene is also corrected. After correction of audio and video problems, the film is exported to in required format. There is much latest restoration software available now online which can be downloaded for free and for which the user need to pay the price. Some of this software includes Digitalvision, Film9, Phoenix video restoration etc. The latest software tools available for video restoration help to correct tracking issues, poor video quality issues and many others. They recover the original image quality as far as possible. Preserving the digital video formats is difficult as there are many other issues involved. The tools can help identify the exact format of the digital file, finding the errors to be corrected and soon. The best and latest technology is now available for digital restoration of feature films, photographs and also news clips that have deteriorated due to fungus, scratches ageing etc. Digital restoration is the longest process in any of the video restoration processes. The work of restoration is done in manual, automatic and semiautomatic modes to correct the scratches, noise reduction, damaged frame reconstruction etc. Along with image restoration, the sound restoration also was done. After both the processes completed, quality control check done and all these processes need the help of experienced and skilled personnel. Digital video restoration is a costly process which requires patience. The restoration techniques are used not only for correcting the images and videos but also for pictures taken by artificial satellites also. The video restoration process makes the videos appear brand new.